Webinar attendees will gain in-depth insights into critical measurements made on non-rotating components of rotodynamic pumps, including maximum allowable vibration values and acceptance tests. 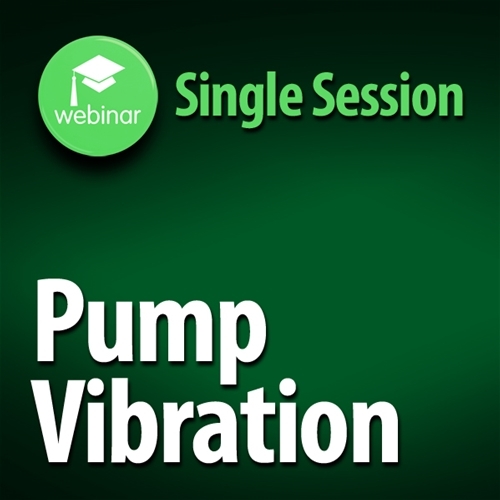 If your customers use rotodynamic pumps in clear water, this webinar will be useful for factory (vibration) acceptance tests as well as field vibration testing. Participants of the live session will earn one (1) PDH credit. **Please note that each individual registration counts as a seat is for 1 person, and not intended to be viewed as a group. Group pricing rates are available - please contact us at training@pumps.org for details. Also please be advised that PDH credits are only available for registered participants of the live session.